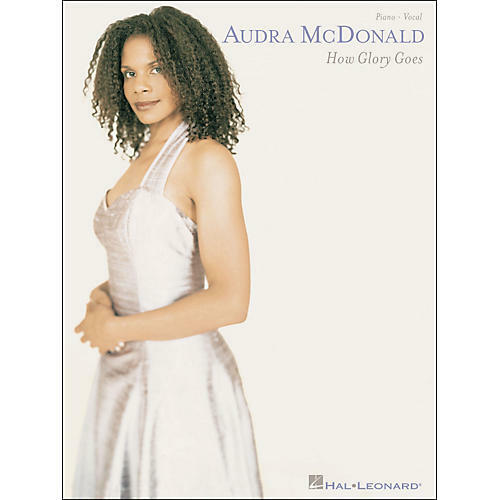 A Juilliard grad and multi-Tony Award winner, actress and soprano Audra McDonald has been compared to both Barbra Streisand and Judy Garland. Our matching folio to her second solo release features a bio and 14 tunes by Harold Arlen and contemporary composers such as Adam Guettel. Titles: Any Place I Hang My Hat Is Home • Bill • Come Down from the Tree • How Glory Goes • I Won't Mind • Lay Down Your Head • The Man That Got Away • A Sleepin' Bee • Somewhere • When Did I Fall in Love • and more.